You know how much chain e-mails and freaky pictures freak me out. When I saw this, I picture, I was freaky out. Right Side Of Your Brain – This is So Cool! An eye, brain trick. You will enjoy this if you are using the right side of your brain. 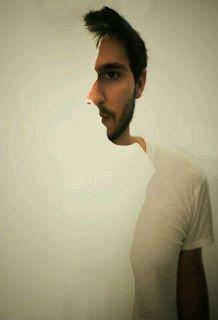 Stare at this picuture carefully and you will see this man turn his face. Share this with your friends if you saw him turn his head. Here is another song that when I hear the first view seconds of it I have to change it. “Shine” (1993) by Collective Soul. I really can’t think of one specific reason I dislike this song so much, but I do. The beginning of the song, irratates me. The middle of the song too. And the end of the song can’t come fast enough. The sound of the lead singer’s voice… URRG!! I was so happy that I was able to copy the embedded link from YouTube before the video started playing. Because once that music earwig gets in my head, especially a song I don’t like, it’s there all day! Here are the lyrics to the song, if you feel the need to sing along. Here is my 2-cents on tonight’s show. Well my Early -Bird pick of Dorothy Hamill and Tristan MacManus didn’t do to well last night. She was injured and couldn’t really get into the dance. I hope that she will at least make it to next week to try again. I’m still boycotting Mark Ballas and Derek Hough just because I don’t like them. Sorry Aly Raisman and Kellie Pickler, I have no rhythm to my reasons! Zendaya did make a hinky comment about age just being a number. So, she’s 16 years old and she views the world differently than the older stars. As along as she can dance like she does, that’s all that matters. And other comments I saw about her were that it’s not fair she is on the show because she is a hip-hop dancer. So, I’m sure the moves she knows how to so are totally different than the ballroom dances she is learning. Lighten up people!! 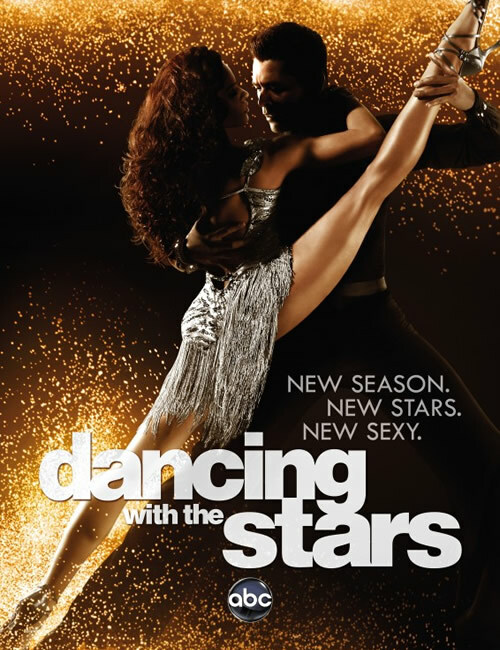 I’m also like this version of Val Chmerkovshiy. He’s not doing Rated-R dance moves like he sis last season with Kelly Monaco. Sorry, someone needs to be the first to be sent home. D.L. Hughley is funny, but a dance he is not. Yeah, I just don’t think she will get any better. “Chantilly Lace“—The Big Bopper — What a cool song to dance to! I’ll be watching tonight to see if any of my picks were right. Did you know this about Bell Peppers? 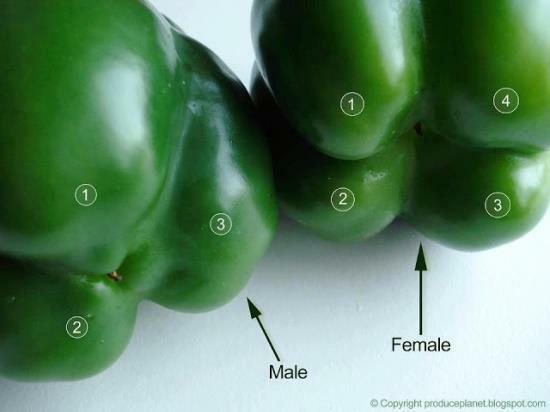 To read more about it: The difference between three bottomed bell peppers and four bottomed bell peppers. I have really not pay attention to this before. But the next time I chop up some bell peppers, I’m going to take a look at how many bumps they have. Wait, that didn’t sound right??!! I saw this on an old friend that I went to church with growing up Facebook page. It was on the card that they past out for his mother’s funereal. I can’t remember ever reading or seeing this poem before. But when I read it, I felt a little calmer, a little bit more at ease. So I am posting this for my family, friends, acquaintance and anyone who needs a little something to bring a smile, some peace or just a happy feeling. 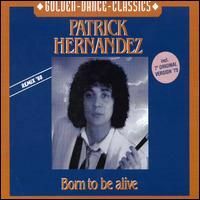 This week’s Song of the Week is… “Born to Be Alive” (1979) by Patrick Hernandez. I have currently put this in my “Quick List” (list of songs that I don’t want to search for) playlist on my iPod. This song was on the following movie soundtracks: Vegas Vacation and Skatetown, U.S.A. But I never wanted all the things that people need adjust to find their lies lies lies. You see war born, born, born to be a lie. but I never wanted all the things that people need to justify their lives lives lives. You see we’re born, born, born to be alive. For the longest time, the only song that I thought Rose Royce sand was “Car Wash” (1976.) I won’t even mention that I thought Rose Royce was a person.. but I digress. There is just something about this song that makes you want to sway with your partner at a high school dance. I would have loved to see the high school dances with music from the 60’s and 70’s playing. The sounds, the clothes, the vibe must have been far out! While I have been writing this post, I have listened to the song five or six times and singing along with the lyrics. Only if I have my bottle of Tickle deorderant to sing into!